Another Friday and another episode of The Voice, live from Fornebu. This time two talents from each team were up against each other in duels, but the final result was all decided by viewers’ votes. At the end of the show, only four of tonight’s talents would remain in the contest. “Everyone on stage tonight are talented and have fantastic possibilities. Setting them up in duels feels like somewhat of a joke, but that’s what we’re doing now”, Morten said at the beginning. “But it’s meant to be like this, and I’m totally OK with that”. “Tonight Dina did a good performance, but I feel that Sebastian maybe did his best performance so far”, Morten said after his own team members had been on stage. The four talents that received the most votes from the viewers, and are now one step closer to the finals, were Malin, Sebastian James, Thomas and August. The other four are out of the contest. Earlier this week, Morten made a quick trip to Cologne, Germany, to be a guest on the TV-show “Die 2 – Gottschalk & Jauch gegen ALLE”, which will air on RTL sometime in November. This Friday it was time for the ten remaining talents on Team Morten and Team Martin to perform on The Voice, live from H3 Arena. 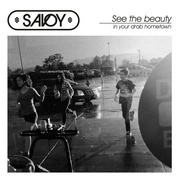 “We didn’t play a concert last night, we did one song live. “Take On Me” acoustically, with a pump organ. There’s a crowd of 8000 people, and it happens right there and then, in 3 minutes. ‘Now you’re on, Morten’ – out on stage, almost right back in and you’re done. 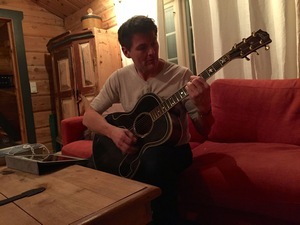 And that’s what our talents will be experiencing tonight, it’s the same thing”, Morten said. Sebastian and Ingeborg received the most votes from the viewers, while Morten had to choose between Isabelle, Dina and Knut. He chose the last two, and Isabelle is out of the contest. TV2 has posted a picture of Morten with his remaining four talents on Instagram. And as usual, videos of all 10 performances are up on on TV2’s YouTube channel. Morten was a guest on Richard Green’s show on BBC Radio Devon today. The interview is available here (starts at 23 minutes). Among the topics discussed was next year’s summer tour/world tour. 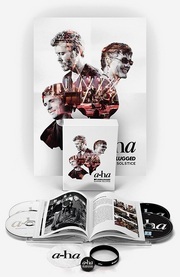 As we learnt several months ago, a-ha is planning to go on the road again next summer with a full electric band, starting in the UK in June 2018 before continuing through mainland Europe, the USA and South America. 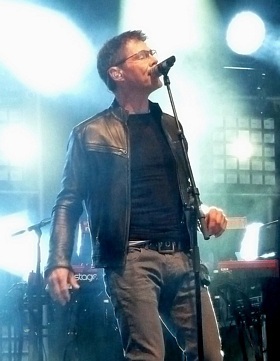 Although only four outdoor concerts in Norway have been announced so far, a-ha manager Harald Wiik said there will be 30-40 concerts in total. Later reports have mentioned as many as 60 concerts. Earlier in the week, on Monday, Morten and Magne were guests on Becky Want’s show on BBC Radio Manchester. That interview is available here (starts at 1:45:30). 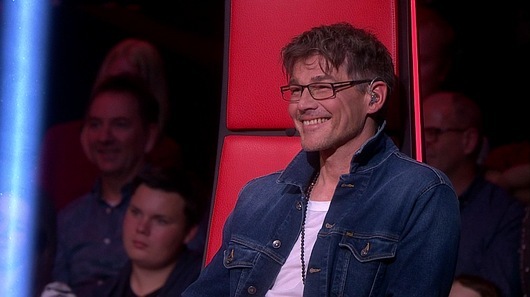 “I’m proud of the team I’m bringing with me to the live shows”, Morten says. 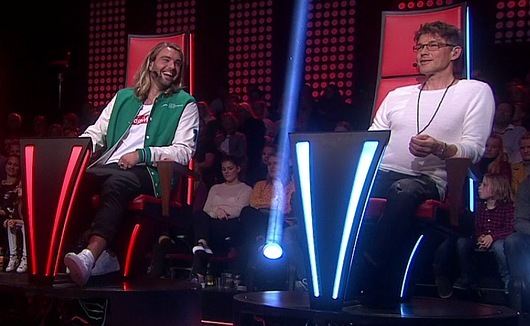 The Voice has continued on TV2 over the last few weeks, with 5 episodes of battle rounds and 3 episodes of knockout rounds, which were taped between 22 May – 2 June this year. In addition, Morten stole Alexandra from Team Martin and Synne from Team Lene. Meanwhile, on Team Yosef, Morten’s niece Ragnhild Harket was up against two others, but went through to next round. 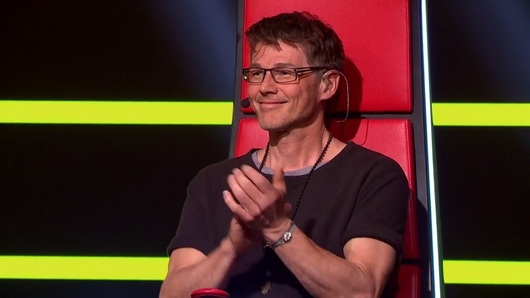 This meant Team Morten had 8 talents remaining before the knockout rounds, where the singers themselves decide what they want to perform. 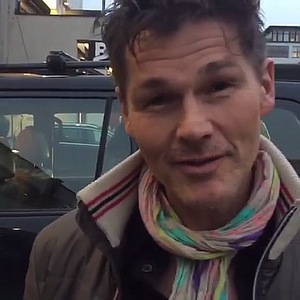 In addition, Morten stole Isabelle from Team Martin. On Team Yosef, Ragnhild Harket was up against August, but wasn’t chosen this time. The next stage of The Voice starts on TV2 tomorrow, October 13th, with the first of nine live shows from H3 Arena in Oslo. The live shows will continue every Friday until the finale on December 9th. So this will keep Morten busy for the next couple of months. Tickets are available at Ticketmaster. For a presentation of all 20 talents that are ready for the live shows, check out the video clips about each team on TV2.no. The blind audition episodes of The Voice concluded this week, and now all four mentors have complete teams. Martin, Lene and Yosef bent the rules a little bit and ended up with 13 talents on their teams, while Morten has 12 talents on his. All the 67 blind auditions can be seen in this YouTube playlist by TV2. One special moment occured in the episode this Friday, when Morten’s niece Ragnhild Harket was one of the contestants. Morten had no idea she would be there, but he didn’t press the button as he instantly recognized her voice and felt it wouldn’t be appropriate. But both Yosef and Lene pressed their buttons, and Ragnhild ended up on Yosef’s team. 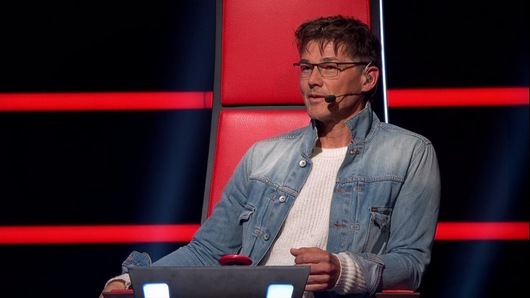 To promote The Voice, Morten appeared together with the other mentors at a TV2 press launch in Oslo on 22 August. “Norway is brimming with talent, and I feel I have something to contribute”, he told VG. He was also a guest on TV2’s talkshow Senkveld this Friday, 8 September, together with Martin and Lene. The full episode is available for TV2 Sumo subscribers. But there is also a short bonus clip from the interview on Senkveld’s Facebook page. The Voice continues this coming Wednesday and Friday with the first battle rounds. 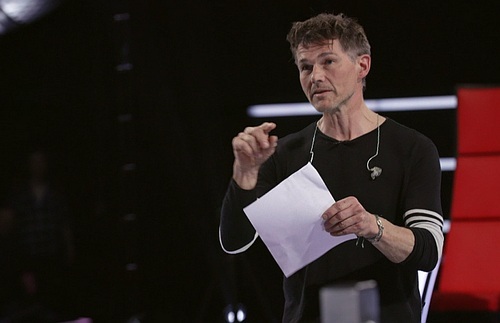 Last month it was revealed that Morten will be one of the mentors on the fourth season of The Voice in Norway, following in the footsteps of Magne, who lead his team and Martin Halla to victory in the show’s first season back in 2012. 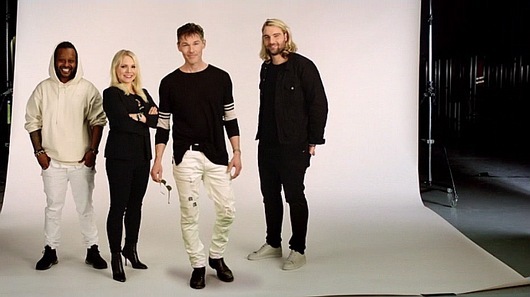 Morten will be joined by Lene Marlin, Yosef Wolde-Mariam (Madcon) and Martin Danielle (CLMD) as mentors this year. Tickets are free, and available at shortaudition.com now. Needless to say, this is primarily for people who live in the Oslo area. The show will start airing on TV2 this autumn, probably sometime in August or September.